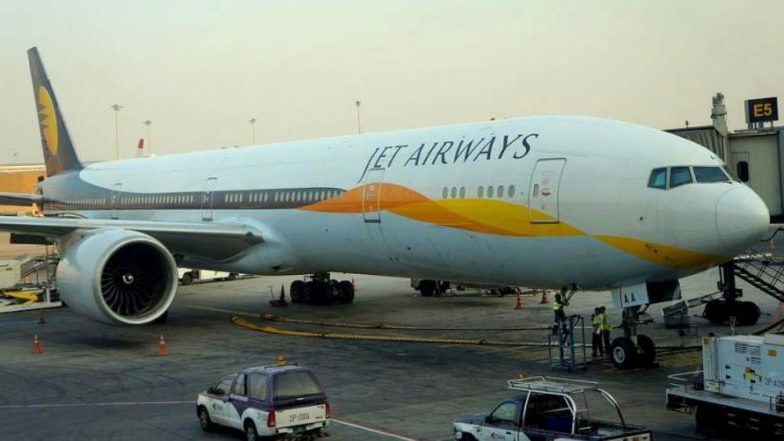 New Delhi, April 16: The management of cash-strapped Jet Airways has proposed to suspend all its operations temporarily, a report by ET Now quoted sources. The report further informs that the decision to call off the operations was taken at its board meeting on Tuesday. Also, Jet Airways founder Naresh Goyal, who had stepped down as chairman of the carrier last month, decided not to bid for acquiring stake in the cash-strapped airline, sources familiar with the issue said. On Monday, reports informed that lenders did not take a final decision on providing emergency funds to the cash-strapped carrier. Jet Airways Crisis Continue as Indian Oil Corporation Denies Fuel to Aircraft Over to Non Payment of Dues. In March, Goyal and his wife Anita Goyal stepped down from the board of the airline, which has more than Rs 8,000 crore debt. SBI Capital Markets has the mandate for Jet Airways’ sale on behalf of the SBI-led consortium of the domestic lenders to the debt-ridden private carrier. According to reports, the carrier, which is grappling with acute financial crunch and is operating less than 10 planes besides temporarily suspending international operations. It is awaiting fresh fund infusion under a debt resolution plan. Jet Airways Stops Forward Booking for East-Bound International Sector. On April 12, sources said that Goyal had also put in bid for the carrier. Earlier there were reports that the management of cash-strapped Jet Airways will take a final call by end of Tuesday of whether to continue operations as the airline makes last ditch efforts to raise funds. Jet Airways Aircraft Seized in Amsterdam For Non-Payment of Dues, Passengers Stuck. Meanwhile, Civil Aviation Minister Suresh Prabhu has called for a review of issues related to struggling Jet Airways, including rising fares and flight cancellations. According to a PTI report, Prabhu has also asked Civil Aviation Secretary Pradeep Singh Kharola to take necessary steps to protect the rights and safety of passengers. Amid reports of temporary shutdown of operations, shares of Jet Airways dipped nearly 19 per cent on Tuesday. The scrip which had opened the day on a weak note further dipped 18.56 per cent to Rs 213.20 on BSE in afternoon trade, while at NSE, shares cracked 18.53 per cent to Rs 213.20.